Cool! 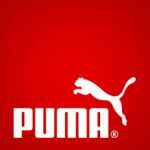 Save an average of 20% on PUMA with 3 Coupon Codes, and 11 Deals! Details: Take 50% off entire purchase sitewide + free shipping. Expires on 12/09/2013. Details: Kids Footwear, Apparel, and Accessories on Sale at Puma. Save Big at the Semi-Annual Sale! Details: Shop & save up to 50% off women's sale items Plus get free shipping on all orders over $49. Details: Collars In Color - Mens Polos Starting at $25. Details: Save 50% off the Axel women's sneakers in one of several color choices (excludes red and blue options). Expires on 10/14/2013. Details: Save Up To 50% Off Sale Items for Men, Women & Kids. Plus get free shipping on all orders $49 or more. While supplies last. Details: Free Returns On All Orders No Minimum - Click To Activate. Limited Time Only. Free Shipping+ Free Returns On All Orders. Details: Shop Risk Free At Puma And Get Free Shipping On Orders Over $49 And Free Returns On All Orders. Details: Take A Survey With Puma And Get Access To A 20% Off Coupon When You Shop In Store. Survey Can Be Found At The Bottom Of Your Receipt. Details: Shop & save up to 50% off men's sale items plus get free shipping on your orders $49+! Hurry, while supplies last. Details: Shop the Semi-Annual sale and save up to 50% off apparel, shoes & accessories for the whole family. Plus get free shipping on orders of $49 or more.